THIS ITEM - ONE TIME SALE! EDWARD EGGLESTON - DRUM SONG About 20x26 * Canvas Giclee numbered of only 15ap. A limited number offered with a number of 2 through 15 AP at time of delivery. Hurry before price changes, due to availability or simply sells out! 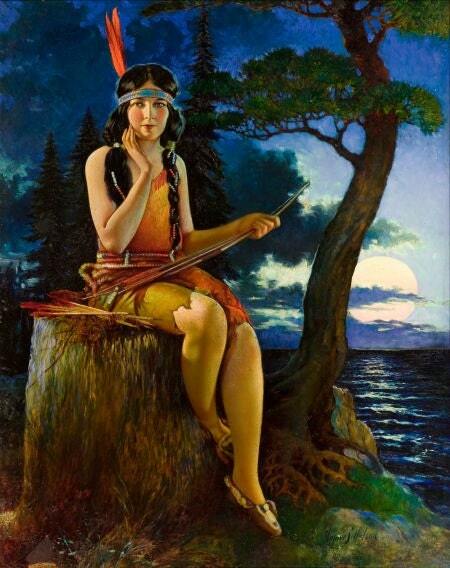 Art DECO to Modern Mid Century era American INDIAN MAIDEN Or Princess, Maid. Used for popular calendar pin-up art. First image only, others are sample image in this series offered on other listings. Very exclusive, only 15 AP pieces offered of each image! Buy the whole set! Email for special discount listing and FREE North America shipping with order of whole set! 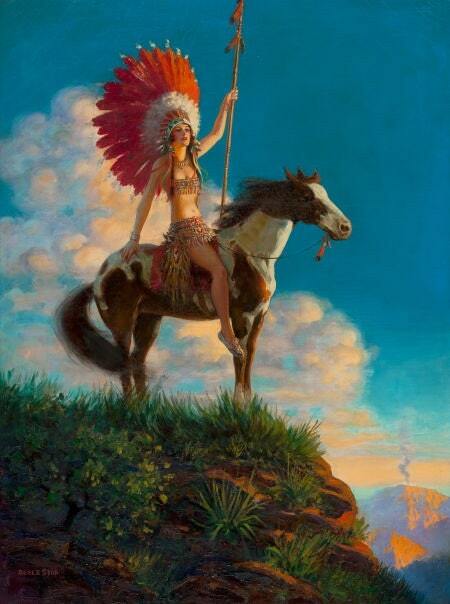 These Native American Fantasy pin ups where published and used in popular calendars and advertising from pax 1900 through mid 1950s. 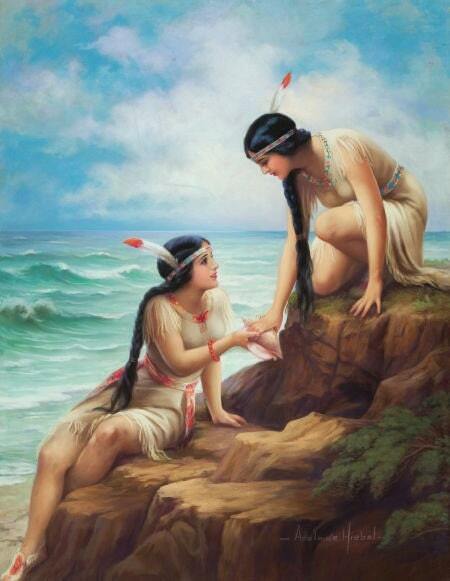 The painting were mostly made from 1890s through 1930s. The peak popularity was the 20s and 30s. Sizes are approximate with slight variation. 20x24 to 22x26 typical. Perfect accent decor for Modern to early 20th century and Craftsman Homes! RARE and impossible to find. Made from artistic restorations from the vintage original paintings. Highest quality limited edition numbered print, very small exclusive edition of only 75 pieces. Prices subject to change due to availability. EGGLESTON ARTIST BIO : Edward Mason Eggleston was born in Ashtabula Ohio on November 22, 1882. He attended Columbus, Ohio Art School and studied under Harvey Dunn former student of Howard Pyle. Most of his career was spent in New York. He had a successful career as a commercial artist was a member of the Advertising Club of New York as well as Society of Illustrators. He painted calendars for the Thomas Murphy Co. and Joseph C. Hoover and son. As a genre his works included many Indian maidens along with Arabian. Egyptian and pirate girls. He died on Jan. 14, 1941 at age 58.